This spring/summer 2012 promises to be a bright season indeed as two of the hottest incoming trends include tangerine and metallic shoe details. 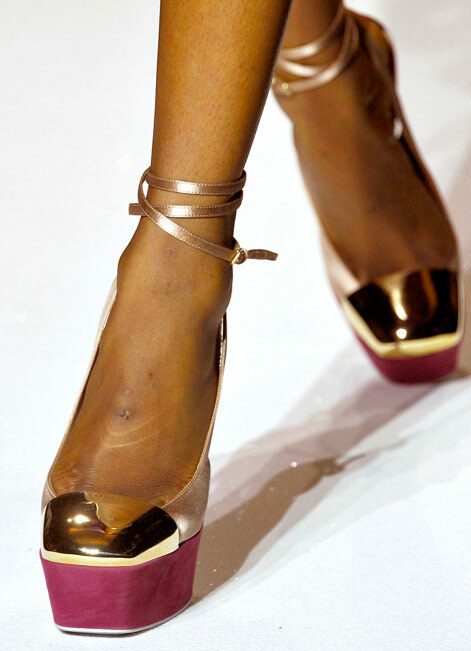 Metallic shoe details are an exciting trend for 2012 which gives any shoe a tougher punch. 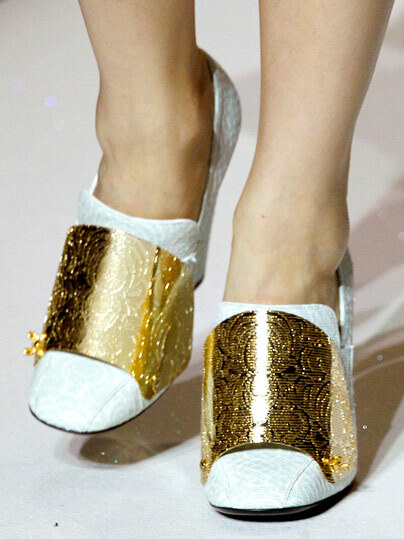 Metallic toe caps to be exact have been seen on major brands like Louis Vuitton, Thierry Mugler, and Yves Saint Laurent. 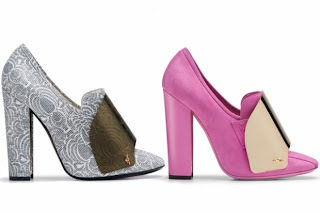 Yves Saint Laurent, the brand that succeeded in stealing the heart of fashion critics and exigent fashionistas, is well known for their clothing, but this season their shoe collection is turning heads and being noticed by even the most discernible shoe lovers. 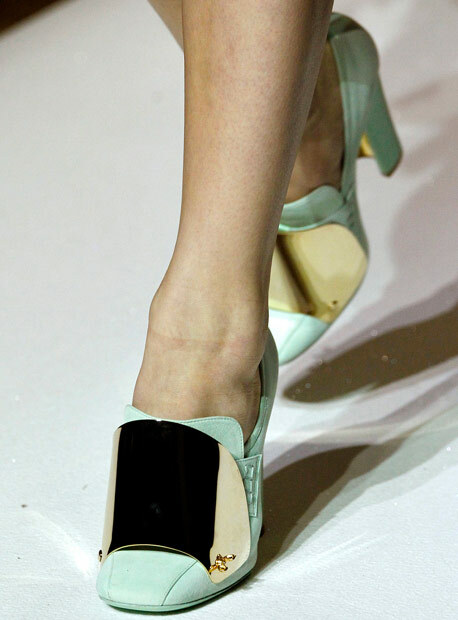 Stefano Pilati managed to tame the hunger of the fashionistas for exquisite accessories with the help of the breath-taking Yves Saint Laurent Spring 2012 shoe collection. Bunuel’s 1960 film, Belle de Jour, served as the main source of inspiration for Stefano Pilati. His dazzling ensembles were complemented with show-stealing accessories as loafers and platform shoes. During the creative process, the highly acclaimed designer fused minimalist and super-neat silhouettes with futuristic glamor and high class style creations which radiate trend-awareness and refinement. 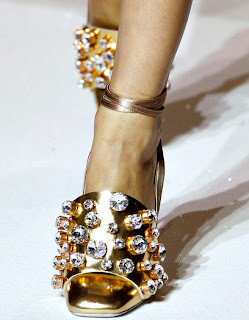 At the Spring 2012 ready-to-wear show, the shoes were the biggest hit among the front row spectators, including Kyle Minogue and Selma Hayek. The collection featured several styles with a wide gold plate at the toe, some with large crystal details. The palette was mostly pastels with a few standard black designs and color blocking. 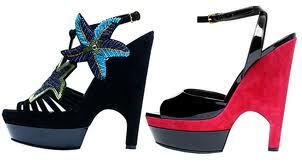 The heel height varied from flats to a few ultra high platform pumps. The collection included something for everyone. This shoe collection is your best friend when it comes to upgrading your signature clothing style to the newest trends. Explore the fantasy behind it, Inject a tint of edgy glamor into your wardrobe and embrace your 'femme fatale' side.